Light wireless PTT Headset with PTT for Android. Light wireless PTT Headset for Zello iOS and Android. BTH-500-R6 (Android only) Wireless medium size speaker microphone for Zello iOS and Android. 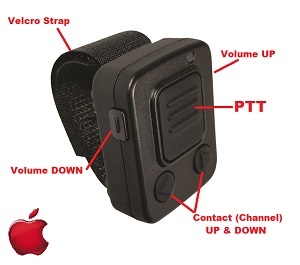 Heavy duty wireless PTT speaker microphone for Zello iOS and Android.